* ISIS-linked organization in Hebron which has reportedly taken responsibility for the kidnapping, is a Hamas front organization. * Kerry calls Abbas to urge him to look for the teenagers. Tom Gross: Below are several articles from the American media about the ongoing situation in Iraq (with some bullet points by me first). Most subscribers to this list live outside the U.S. There have been many articles in the last 48 hours, so this is just a small selection. A dispatch on more general Middle East topics may follow tomorrow or on Monday. * ISIS stole $425 million in gold bars and cash, the Iraqi governor says, and became the “world’s richest terrorist group” (though one reader writes that the Palestinian Authority is richer). * The Taliban, the New York Times reported, had a one-time annual operating budget of somewhere between $70 million and $400 million. Hizbullah has between $200 million and $500 million. FARC in Colombia had annual revenues of $80 million to $350 million. Al-Shabab in Somalia had between $70-100 million. And Al-Qaeda, meanwhile, was working with a $30 million operating budget at the time of the Sept. 11, 2001, attacks, according to the Council on Foreign Relations. * The newfound wealth at ISIS’s disposal now makes it richer than many small nations. * Wall Street Journal: The Obama administration signaled it is preparing to re-engage militarily in Iraq, a remarkable U-turn for a president who campaigned in 2008 on ending the war there and has cited the removal of U.S. troops as one of his top successes. * The CIA maintains a presence at the U.S. Embassy in Baghdad, but the agency has largely stopped running networks of spies inside the country since U.S. forces left Iraq in December 2011. * On June 10, Iraqi president Nouri al-Maliki publicly called for the establishment of popular militias in response to the latest jihadist offensives in Mosul and other areas. Yet well before this announcement, Iran’s proxies – including Kataib Hezbollah and Asaib Ahl al-Haqq – had already redeployed some of their forces fighting for Assad in Syria back to Iraq. The Iranians are now likely to send more forces into Iraq. * Iraq’s refugee population has increased by 800,000 so far this year as the government struggles against ISIS. * At the annual Herzliya security conference in Israel last week, the head of the Israeli military showed pictures of two long-dead diplomats. Mark Sykes, an Englishman, and François Georges-Picot, a Frenchman, secured their place in history by cutting a deal that drew the borders of the modern Middle East. The point of recalling the men: It suddenly appears those century-old borders, and the Middle Eastern states they defined, are being stretched and possibly erased.” This entire system is disintegrating like a house of cards that starts to collapse,” Lt. Gen. Benny Gantz said. Tom Gross: If only many western policymakers would stop seeing this as a zero-sum game between Islamists and Fascistic dictators like Assad and Saddam. Hundreds of millions of Arabs want neither. The first thing you hear is the music. It lilts and sways. Then you see the Islamist militants. They’re knocking at a policeman’s door. It’s the middle of the night, but the cop soon answers. He’s blindfolded and cuffed. They take him to the bedroom. And then, reports say, they decapitate him with a knife. Death was everywhere in the sacked the city of Mosul, a strategically vital oil hub and Iraq’s largest northern city. One reporter said an Iraqi woman in Mosul claimed to have seen a “row of decapitated soldiers and policemen” on the street. Other reports spoke of “mass beheadings,” though The Washington Post was not able to confirm the tales. The stories, the videos, the acts of unfathomable brutality have become a defining aspect of ISIS, which controls a nation-size tract of land and has now pushed Iraq to the precipice of dissolution. Its adherents kill with such abandon that even the leader of al-Qaeda has disavowed them. “Clearly, [leader Ayman] al-Zawahiri believes that ISIS is a liability to the al-Qaeda brand,” Aaron Zelin, who analyzes jihadist movements for the Washington Institute for Near East Policy, told The Washington Post’s Liz Sly earlier this year. But in terms of impact, the acts of terror have been wildly successful. From beheadings to summary executions to amputations to crucifixions, the terrorist group has become the most feared organization in the Middle East. That fear, evidenced in fleeing Iraqi soldiers and 500,000 Mosul residents, has played a vital role in the group’s march toward Baghdad. In many cases, police and soldiers literally ran, shedding their uniforms as they went, abandoning large caches of weapons. The commitment to shocking violence is at the heart of both ISIS’s recruitment and appeal. To radicalized Islamists across the world, there’s something enticing in ISIS. It has attracted at least 12,000 fighters – 3,000 from the West – since its inception several years ago. “My first time!” the Brit says beside another image of a hand covered in blood. It’s difficult to say what spawned such fealty to violence. “There is absolutely nothing in Islam that justifies cutting off a person’s head,” a professor at the Center for Muslim-Christian Understanding at Georgetown University once told Newsday. But just as the Bible discusses the beheading of John the Baptist, so does the Koran talk of beheadings. “When you meet the unbelievers in the battlefield, strike off their heads until you have crushed them completely; then bind the prisoners tightly,” Sura Chapter 47 says. The act, despite its religious underpinnings, can be manipulated into terrorism, Timothy Furnish wrote in a 2005 Middle East Quarterly article. “The purpose of terrorism is to strike fear into the hearts of opponents in order to win political concession,” he wrote. Then the jihadists slit their throats. The Islamic State of Iraq and Syria (ISIS), an al-Qaeda splinter group that has seized a huge chunk of northern Iraq, is led by Abu Bakr al-Baghdadi, a relatively unknown and enigmatic figure. Of the many stunning revelations to emerge out of the wreckage of Mosul on Wednesday – 500,000 fleeing residents, thousands of freed prisoners, unconfirmed reports of “mass beheadings” – the one that may have the most lasting impact as Iraq descends into a possible civil war is that the Islamic State of Iraq and Syria just got extremely rich. As insurgents rolled past the largest city in northern Iraq, an oil hub at the vital intersection of Syria, Iraq and Turkey, and into Tikrit, several gunmen stopped at Mosul’s central bank. An incredible amount of cash was reportedly on hand, and the group made off with 500 billion Iraqi dinars – $425 million. The declaration isn’t an easy one to fact-check. Not only is the definition of “terrorist” nebulous – are murderous but wealthy Mexican cartels terrorists? – it’s also exceedingly difficult to quantify a terrorist organization’s finances. One of the closest stabs anyone has made comes from the well-versed Money Jihad. According to its analysis, which drew on journalistic and academic accounts, the cash seizure would make ISIS the richest terrorist organization in the world – at least for the time being. The Taliban, the New York Times reported, had a one-time annual operating budget of somewhere between $70 million and $400 million. Hezbollah was working with between $200 million and $500 million. FARC in Colombia had annual revenues of $80 million to $350 million. Al-Shabab in Somalia had between $70 million and $100 million socked away. And Al-Qaeda, meanwhile, was working with a $30 million operating budget at the time of the Sept. 11, 2001, attacks, according to the Council on Foreign Relations. The newfound wealth at ISIS’s disposal now makes it richer than many small nations, including Nauru, Tonga and the Marshall Islands. For a terrorist group that operates more and more like a de facto state governing a huge swath of land spilling across Syria and Iraq, the potential impact could be huge. By nearly every measure, Iraq is embroiled in civil war. With lightning speed, not deterred by Iraqi soldiers running scared, the insurgency on Wednesday moved within 70 miles of Baghdad, which analysts say is “definitely vulnerable,” according to The Washington Post’s Liz Sly and Loveday Morris. According to research by the intelligence consultancy Soufan Group, ISIS may not have much trouble attracting that many fighters – if it doesn’t have that many already. Soufan Group said ISIS has attracted 12,000 militants from abroad already, 3,000 of whom are from the West. At an annual security conference in Israel this week, the head of the military showed pictures of two long-dead diplomats. Mark Sykes, an Englishman, and François Georges-Picot, a Frenchman, secured their place in history by cutting a deal that drew the borders of the modern Middle East. The point of recalling the men: It suddenly appears those century-old borders, and the Middle Eastern states they defined, are being stretched and possibly erased. “This entire system is disintegrating like a house of cards that starts to collapse,” Lt. Gen. Benny Gantz said. The group – known as the Islamic State of Iraq and al Sham – isn’t a threat only to Iraq and Syria. It seeks to impose its vision of a single radical Islamist state stretching from the Mediterranean coast of Syria through modern Iraq, the region of the Islamic Caliphates established in the seventh and eighth centuries. Governments and borders are under siege elsewhere, as well. For more than a year, Shiite militias from Lebanon have moved into Syria and operated as a virtual arm of the Syrian government. Meanwhile, so many Syrian refugees have gone in the opposite direction – fleeing into Lebanon – that Lebanon now houses more school-age Syrian children than Lebanese children. And in Iraq, the Kurdish population has carved out a homeland in the north of the country that – with the help of Turkey and against the wishes of the Iraqi government – exports its own oil, runs its own customs and immigration operations and fields its own military, known as the Peshmerga. The picture is difficult for the U.S., which is deeply invested in keeping the region stable, and the rapidly deteriorating situation in Iraq is setting off alarm bells inside the Obama administration. The U.S. is weighing more direct military assistance to the government of Iraqi President Nouri al-Maliki, the White House said Thursday, and officials hinted that aid might include airstrikes on militants who have edged to within a half-hour’s drive of Baghdad. “There will be some short-term immediate things that need to be done militarily,” President Barack Obama said. “Our national security team is looking at all the options.” Mr. Obama also urged Iraq’s Shiite-dominated government to seek political paths for moderate Shiites and Sunnis to work together against jihadists. “This should be also a wake-up call for the Iraqi government,” he said. Why are the borders of today’s Middle Eastern states suddenly so porous and ineffectual? 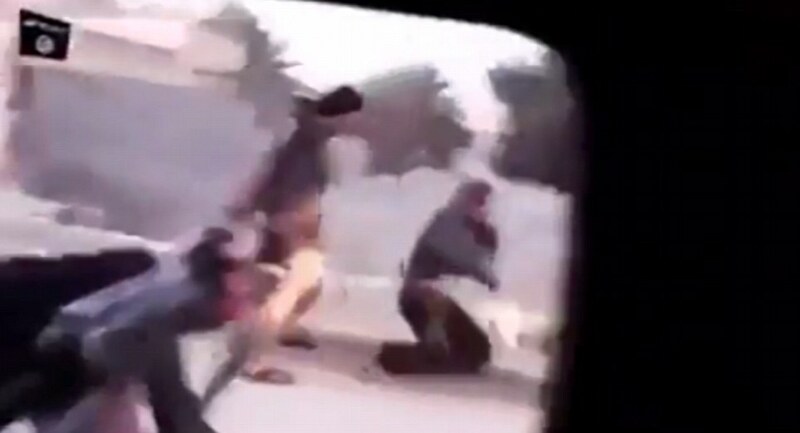 The militants known as ISIS wreaking havoc in Iraq are an ‘Islamist’ group. The terms ‘Islamism’ and ‘Islam’ are often used interchangeably, but there are very distinct differences between them. In short, the conflicts unleashed in Iraq and Syria have merged to become the epicenter of a struggle between the region’s historic ethnic and religious empires: Persian-Shiite Iran, Arab-Sunni Saudi Arabia and Turkic-Sunni Muslim Turkey. Those three, each of whom has dominated the whole of the Middle East at one time or another in past millenniums, are now involved in the battle for influence from the Mediterranean to the Persian Gulf. Saudi Arabia, for example, refuses to recognize the Shiite government of Iraq, backs an array of almost exclusively Sunni Muslim rebel groups in Syria and bitterly opposes the Shiite Hezbollah. Iran conversely, is the biggest backer of the Shiite-linked Syrian regime, has forged deep ties to the Shiite-dominated Iraqi government and assures that Hezbollah, which Iran’s Revolutionary Guards nurtured from its birth in the early 1980s, remains impressively armed and trained. The U.S. also has played a role. In the wake of 9/11, it toppled Saddam Hussein, who had no connection to the attacks, and launched an effort to remake Iraq as a first step to transform the region. The Arab uprisings three years ago ousted more iron-fisted rulers, whose authoritarian regimes had kept ethnic and religious tensions in check. Syria’s uprising reached no resolution, and instead morphed into a festering civil war. Both sides have turned to religious and ethnic propaganda and brutality to maintain their advantage. The U.S. straddles some of the divisions. It supports the Shiite government it helped create in Iraq, for example, while denouncing the Shiite-linked Syrian regime. Its toppling of an Iraqi leader and encouragement of sectarian rule has helped fan tensions along religious and ethnic lines. The U.S. further undermined indigenous authority with its long, troubled occupation of Iraq as it sought to rebuild the country. Broader changes in the global power structure also have helped unleash change. For decades, the Middle East was locked in place by the Cold War and petro politics. The U.S. supported countries opposed to the Soviet Union and rich in oil – Persian Gulf monarchies, Jordan and Egypt starting in the mid-1970s – while the Soviets supported their friends – Syria, Iraq, Libya at times and South Yemen. The U.S. backed a lot of anti-democratic and despotic regimes, but the result was relative stability. Now, though, the Cold War framework has been shattered, and the growth of new energy sources elsewhere has reduced the premium placed on stability. The trouble for the U.S. and regional powers is that the conflict may have outrun their control, fueled by the rise of the most pernicious groups in chaotic conditions. ISIS is a threat for both Turkey and Saudi Arabia, but its easy conquests over the past week – including Mosul, Iraq’s second-largest city – were made possible by governments hobbled by years of insurgency and opposition aided by those two countries and like-minded Arab Gulf residents. Iran, for its part, has encouraged Shiite Muslim militia groups so extreme and violent, and often intent on targeting Sunni Muslims, that many Sunnis are willing to endure ISIS if it provides the protection their own government won’t. The mess puts Mr. Obama in a box. A few weeks ago he laid out in a policy speech his rationale for staying out of the mire of such sectarian conflicts, since they seem far removed from concrete U.S. interests. Yet, he now seems to acknowledge the U.S. must do something. The danger for the president is the U.S. is being drawn back into the fray, but with very few options, never mind good ones. WHY DOES THE CIA KEEP GETTING IT WRONG? First Crimea, now Iraq. Why does America’s $50 billion intelligence community keep getting taken by surprise? United States intelligence agencies were caught by surprise when fighters from the Islamic State of Iraq and al-Sham (ISIS) seized two major Iraqi cities this week and sent Iraqi defense forces fleeing, current and former U.S. officials said Thursday. With U.S. troops long gone from the country, Washington didn’t have the spies on the ground or the surveillance gear in the skies necessary to predict when and where the jihadist group would strike. The speed and ease with which well-armed and highly trained ISIS fighters took over Mosul, Iraq’s second-largest city, and Tikrit, the birthplace of former Iraqi ruler Saddam Hussein, have raised significant doubts about the ability of American intelligence agencies to know when ISIS might strike next, a troubling sign as the Islamist group advances steadily closer to Baghdad. And it harkened back to another recent intelligence miscue, in February, when U.S. spy agencies failed to predict the Russian invasion of Crimea. Both events are likely to raise questions about whether the tens of billions of dollars spent every year on monitoring the world’s hot spots is paying off – and what else the spies might be missing. The CIA maintains a presence at the U.S. Embassy in Baghdad, but the agency has largely stopped running networks of spies inside the country since U.S. forces left Iraq in December 2011, current and former U.S. officials said. That’s in part because the military’s secretive Joint Special Operations Command had actually taken the lead on hunting down Iraq’s militants. With the JSOC commandos gone, the intelligence agencies have been forced to try to track groups like ISIS through satellite imagery and communications intercepts – methods that have proven practically useless because the militants relay messages using human couriers, rather than phone and email conversations, and move around in such small groups that they easily blend into the civilian population. Policymakers in Washington and other allied capitals were similarly unsure of the group’s true strength or how to respond. In late May, Secretary of Defense Chuck Hagel met with defense officials from Arab countries in Jeddah, Saudi Arabia, where they agreed that ISIS and other Islamic fighters in Syria and Iraq posed a threat to the entire region, a senior U.S. official said. But no plan on how to counter those groups emerged from the meeting, and there’s no indication that U.S. intelligence agencies stepped up monitoring of ISIS fighters in Iraq, who also seized control of Fallujah and parts of Ramadi in January. “We got caught flat-footed. Period,” said Daveed Gartenstein-Ross, a terrorism analyst and senior fellow at the Foundation for Defense of Democracies, who studies ISIS and other al Qaeda-linked groups. Although for the past three years U.S. officials had assessed that ISIS was strong enough “to go toe-to-toe” with the Iraqi military – a fact the group demonstrated with its operations in Fallujah and Ramadi – there has been no indication that the U.S. intelligence agencies knew ISIS was about to mount a major offensive to take over two more cities simultaneously, Gartenstein-Ross said. In the wake of this week’s attacks on Mosul and Tikrit, U.S. intelligence agencies have increased the number of high-resolution images taken from satellites, which could help find the location of ISIS forces on the ground, a U.S. official said. But it was unclear whether this information is being provided to Iraqi forces to help them plan airstrikes or other operations. Two senior U.S. officials acknowledged that the intelligence agencies’ assessment of ISIS has been overly broad and lacked the type of specifics that could have actually helped the Iraqi military know when and where to expect an attack. But the greater concern to the Obama administration has been the strength of the Iraqi forces and their actual will to fight, they said. “This has never been about whether we thought ISIS had the capability to launch attacks. It’s always been, do the Iraqis have the capability to defend their country?” one official said. On that score, the U.S. assessment was more on the mark. Obama administration officials have hesitated to provide Iraqi military forces with advanced weapons – including fighter jets and attack helicopters – because they’ve never shown an aptitude for using them or sufficient resolve to fight their enemies, the officials said. The Obama administration had also long feared that Iraqi Prime Minister Nouri al-Maliki, a Shiite with clear antipathy towards the country’s Sunni population, would use the armaments against his own people. The intelligence agencies’ inability to predict the latest crisis in Iraq is likely to fuel critics of the Obama administration’s management of other global crises, including in Syria and Ukraine. In the case of Russia’s seizure of Crimea, in which U.S. spies were also caught by surprise, sophisticated electronic eavesdropping systems run by the National Security Agency were of little use because Russian forces limited their time on telephones and adopted the techniques of jihadists, sending couriers back and forth between their units. But the responsibility for failing to counter ISIS in Iraq cannot solely be placed at the feet of U.S. intelligence agencies. When American forces were stationed in the country, they built one of the most successful battlefield intelligence systems in the history of American warfare. The NSA monitored every phone call, email, or text message in Iraq, and it provided leads on the location of jihadists and insurgents to drone pilots and special operations forces, who captured or killed them. U.S. commandos working hand in hand with the CIA also developed an extensive network of human spies. But when U.S. forces left Iraq in 2011, all that intelligence power went with them. The Iraqi government failed to secure an agreement that would have allowed the United States to maintain some physical presence in Iraq, which it needed to run the intelligence networks at full throttle. Today, that intelligence capability has withered. “The United States has so many intelligence collection efforts occurring simultaneously. It’s especially difficult to collect in a place where we have no presence,” said Christopher Harmer, a former Navy officer and an analyst with the Institute for the Study of War. Given the lack of human spies in particular, Harmer said that the United States would be outmatched in Iraq against ISIS because of its reliance on couriers and the diligence with which it avoids phones and email, which can be tracked. “What ISIS is best at is exactly what we are worst at. We just don’t have a good human intelligence network” in Iraq, Harmer said. If the United States has any hopes of gaining some intelligence insights into Iraq, it might look to the autonomous Kurdish region in the north. “The Kurds begged the U.S. to keep a base in Kurdistan” prior to the troop withdrawal, said David Tafuri, who served as the Rule of Law Coordinator for Iraq with the State Department in 2006 and 2007, and is now a partner with the law firm Squire Patton Boggs. “They would have given the U.S. whatever it wanted to have a base here. And if we did, we’d be in a much better position to monitor this situation,” Tafuri said. Iraqi officials have been eager to get their hands on U.S. military and intelligence equipment to assist in their struggle against jihadists. On May 8, Foreign Policy reported that the Iraqi government was actively seeking armed aerial drones from the United States to combat al Qaeda militants in the increasingly violent Anbar province, where fighters from Syria were believed to be spilling over into Iraq. And in a significant reversal, Iraqi officials said they would welcome American military drone operators back into the country to target the militants on its behalf, according to people with knowledge of the matter. But to date, the United States has only agreed to give Iraq 10 small ScanEagle drones, which are launched from a catapult and carry no weapons. Those should arrive by the end of the summer, the White House said Thursday. Iran, the United States’ most nettlesome adversary in the entire region, is moving much faster. According to press reports, a 150-man unit of the Quds Force, the elite wing of Iran’s Revolutionary Guard, had been sent to Iraq to bolster the Maliki government and fight ISIS. Other accounts suggest that a joint Iranian-Iraqi force has retaken all or most of Tikrit. When the invasion of Iraq took place, many left-liberal commentators – particularly those in Britain and Europe – had a curious response. Of course they detested Saddam, they assured us, but might it not be the case that Saddam – a strong man – was the only person who could govern “a place like that”? This stunning suggestion that human rights and basic freedom might not be for everyone, that some human beings are just better off under despotism, was shocking then and its shocking to consider now. But for the most part these arguments faded from discussion as a jittery democratic reality got off the ground in Iraq. What good liberal would want to consign the Iraqi people back to the dark days of Saddam? Besides, one got the impression that most of these voices weren’t actually that favorable toward the Baathist regime, they just hated the thought of the use of Western power far more. Now, however, with Iraq descending into chaos once again – arguably as much the result of the strength of Islamism as the weakness of democracy – these “liberals” are dusting off those old arguments and wheeling them back out in another attempt to bamboozle a public they’ve already spent over a decade misleading. Yet, one voice has gone much further. Chris Maume, an editor at the UK Independent, who by all accounts spent much time in Iraq during the glory days of Saddam, not only takes this opportunity to sow doubts about the wisdom of the war in Iraq, but even does so by mounting the most astonishing defense of life under Saddam. Maume writes particularly glowingly about the healthcare available in Iraq, as well as the order and stability compared to today. Back in the good old days it was “a fully functioning state in which it was possible to live a fulfilled life.” Of course Maume wouldn’t be so callous as not to spare a thought for Saddam’s victims; “If you were Kurdish, or a dissident, life wasn’t like that, and I’m not suggesting for a second that we should forget their suffering. But by and large, life was OK in Saddam’s dictatorship.” And of course to the estimated 180,000 Kurds murdered by Saddam, one should also add the oppression of the marsh Arabs. But it sounds as if Maume accepts what happened to them as the price for the “benefits” that other Iraqis enjoyed under Saddam. And yet it isn’t hard to think of other despotic regimes where, provided you weren’t the wrong ethnic group, perhaps for a time life was perfectly pleasant for everyone else. Whatever one thinks of what has gone on in Iraq post-Saddam, nowhere in the piece does Maume give the impression that in an ideal world the Iraqis should enjoy democracy, freedom, or human rights. Indeed, there is a total absence of the suggestion that such things are human goods, for Iraqis or Westerners; “it was possible to live a fulfilled life” under Saddam, remember. The whole piece reads as a defense of autocracy. So long as people have order and social services, what more could they reasonably ask for? And this from a leading “liberal” newspaper. On June 10, Iraqi president Nouri al-Maliki publicly called for the establishment of popular militias in response to the latest jihadist offensives in Mosul and other areas. Yet well before this announcement, Iran’s proxies – including Kataib Hezbollah (KH) and Asaib Ahl al-Haqq (AAH) – had already redeployed some of their forces fighting in Syria back to Iraq. Extensive evidence shows that these proxy groups have been recruiting fighters for Iraq, and that such recruits are working closely with the Iraqi army and Internal Security Forces (ISF). Iran’s proxies have been involved in extensive recruitment efforts for months, with KH stepping up its efforts in late April to rally fighters behind the “defense of Iraq.” One result was the establishment of a new group, Saraya al-Dafa al-Shabi (the Popular Defense Companies). In May, an official KH video announced that this force was fighting alongside the ISF. In addition, AAH and another Shiite militia group, the Badr Organization, have established numerous city-based “popular committees” since April. As early as January, fighters from AAH and the Iranian-guided Rapid Reaction Force (RRF) announced that they had sent forces back to Iraq from Syria. Subsequently, AAH claimed that its fighters were involved in this year’s fighting in Fallujah. These redeployments and recruitment efforts also entailed major restructuring of organizations in Syria. The group Liwa Abu Fadl al-Abbas (LAFA) and its constituent RRF (also known as Afwaj al-Kafil) are a case in point. Both forces look to Ayatollah Qasim al-Tai – a cleric who split from Muqtada al-Sadr and embraced the Iranian concept of velayat-e faqih (rule by the jurisprudent) – as their leader. Initially, these largely Iraqi-staffed forces were marketed as Syria-centric, with their military activities limited to serving as “defenders of Sayyeda Zainab,” a Shiite shrine in Damascus. The RRF, which appears to have strong links to ISF SWAT teams and to the Iraqi Special Operations Forces (ISOF), was one of the first specialized Iraqi units deployed to Syria in spring 2013. Since June 5, a multitude of Iranian-backed Shiite Islamist groups have actively promoted deployments to Samarra. The introduction of these forces to the city marks a furthering of the “shrine defense” narrative. In a June 7 document published on its social media outlets, the Badr Organization threatened any group that harmed the city’s shrines. According to reports from fighters and official webpages belonging to Iranian proxy groups, units from several organizations have been deployed to the city, including Faylaq Waad al-Sadiq, Harakat Hezbollah al-Nujaba, Kataib Sayyid al-Shuhada (KSS), Kataib Hezbollah, the Badr Organization, AAH, and Saraya Talia al-Khurasani. The leader of KSS – Falah Hasan Jassim al-Harishawi (a.k.a. Mustafa al-Khazali) – is a newly elected member of parliament from Basra and has been photographed in Samarra with Iraqi army and ISF figures. Since early this year, the Badr Organization and AAH have announced numerous deaths among their forces in Iraq. A number of these lost fighters have been photographed wearing Iraqi military insignias, including ISF and SWAT logos. Similarly, when the Badr Organization announced the “martyrdom” of Qassem Jamil al-Salami and Hassan Hadi al-Maryani, the memorial posters for the two men showed them in ISOF uniforms, with Iranian Supreme Leader Ali Khamenei gazing down on them. For its part, KH posted two Iraqi death notices on its internal networks on May 2 and May 4, announcing that members Haydar Jabar Qasim al-Jabari and Falah Hassan Jasim al-Muhamadawi had been killed in Anbar. On June 10, the group reportedly flew limited forces to Mosul Airport; from there, they were deployed to join the battle in that city. That same day, KH member Akram Sami al-Fareeji was also cited as a “martyr” reputedly killed in Anbar. Other groups and fighters have been linked to Anbar as well. On June 7, KSS announced the death of member Ali al-Asmar, who had “defended Sayyeda Zainab...Anbar, and Samarra.” And in photos released last month, Ahmed al-Fareej – a well-known Shiite Islamist militant who was listed as a member of the RRF and Liwa al-Imam al-Husayn and had been present at Sayyeda Zainab since 2013 – was shown firing a mortar in Anbar. Muhammad Jassim Tohme is another example of a slain militant who fought in Syria and returned to Iraq. According to his “Will of Testament,” he had reportedly “participated in resisting the U.S. occupation in Iraq in several battles.” When he returned to Iraq from the war in Syria, he continued operating as a fighter associated with Harakat Hezbollah al-Nujaba. The organization claimed he was dismantling explosive devices north of Baghdad with the Iraqi army when he was killed. Further demonstrating the modularity of Iran’s proxy networks is Muhammad al-Biyadh, another Harakat Hezbollah al-Nujaba fighter who was listed as a field commander with the group’s Ammar ibn Yasir Brigade in Aleppo. There, he gained a level of fame due to video of him singlehandedly firing a machine-gun against enemy forces near Aleppo. When he returned to Iraq, he participated in February protests against al-Sabah al-Jadeed newspaper, which had published a cartoon criticizing Ayatollah Khamenei. At the protest, Biyadh was photographed in an ISOF uniform. And in mid-April, he was photographed wearing patches belonging to Faylaq Waad al-Sadiq, a Khomeinist group that had been deployed to Aleppo at the same time he was there (though Biyadh claimed he was stationed at Abu Ghraib with Iraqi security forces at the time he was fighting in Syria). In June, online outlets affiliated with the group announced that Biyadh had been named as a commander of a newly proposed subgroup called Kataib al-Zahra. Around the same time, this new unit claimed it was deployed with Iraqi SWAT teams to Samarra, where Biyadh reportedly assisted with the dismantling of explosive devices. In sum, many of the Shiite Islamist forces fighting in Iraq operate as part of Iranian proxy groups that have been attached to ISF and Iraqi army units. Some even operate as a direct part of these official Iraqi military forces. On June 10, LAFA’s official Facebook page announced that Iran had mobilized elements of the Islamic Revolutionary Guard Corps to assist Iraq, and that Lebanese Hezbollah had sent units to fight there. Other media outlets have since reported an IRGC presence in Iraq. Although this would be a major development if confirmed, it would hardly be shocking given the many previous deployments by the IRGC and its Arab proxies in Syria. IRGC commander Qasem Soleimani reportedly went to Iraq last week to visit representatives of Iranian-backed organizations – further evidence that Tehran views the Iraq front as seriously as it does the war in Syria. Given the difficult security situation it faces, the Iraqi government is likely to become more reliant on these Iranian proxies. The crisis has now hit the point where Iraqi Shiites rightfully view the Islamic State of Iraq and al-Sham (ISIS) as an immediate existential threat, so commands, arms, and training from Iran will most likely be accepted. Nevertheless, Washington must tread a fine line on this matter, supporting efforts to counter ISIS while actively distancing itself from and at least stating its opposition to Iran’s direct and sectarian proxy deployments in Iraq.